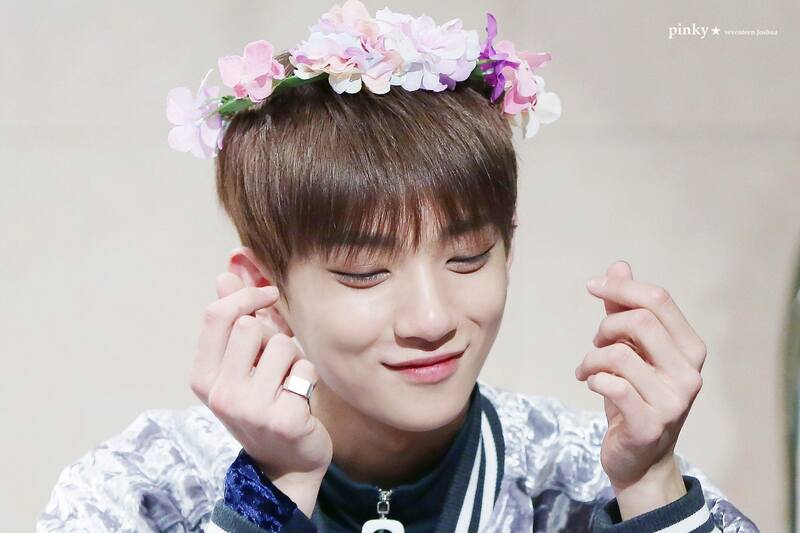 SEVENTEEN‘s member Joshua seems to have attracted a new fan to the group’s growing fanbase, but it’s not anyone they could have expected. SEVENTEEN’s members often interact with their fans on Twitter by signing on and answering any questions or comments that fans send them. These conversations often end up becoming jokes within the fandom because of the members’ sassy and playful responses. During the latest Q&A session, Joshua ended up catching the attention of a company instead of a fan with his cute rap. It appears the phrase “root beer float” caught the attention of A&W Restaurants (which is, among other things, well-known for its root beer). Fans immediately wanted to know if A&W liked SEVENTEEN and the company came back with a witty response of their own and referenced one of SEVENTEEN’s songs. Another fan wondered if A&W really was a fan of the group, and the company answered using two more of SEVENTEEN’s songs to show that they were indeed interested in the group.